On a scorching hot summer day, you start to feel sluggish and dizzy while perspiring heavily. Feeling dehydrated and low on energy, you instinctively grab a glass of cold water, gulp it down and look for an air-conditioned place to rest. There is one more place Koreans think of stopping by on such days -- a samgyetang (ginseng chicken soup) eatery. 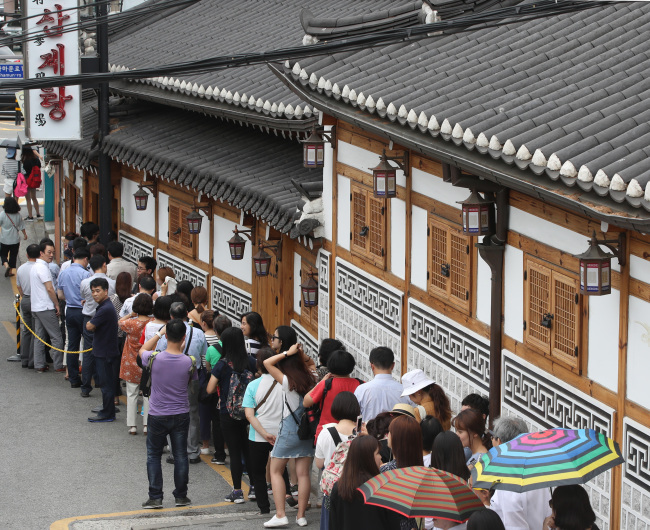 On lunar days that mark the beginning, middle and end of summer, samgyetang restaurants are crowded with customers yearning for the taste of tender chicken meat and rich soup infused with ginseng and other medicinal herbs. Koreans have long believed that they can beat the summer heat by eating highly nutritional food such as samgyetang and other seasonal dishes that use fresh produce. This culture in summer is not unique to Korea alone as it can also be found in two neighboring countries -- China and Japan. “In Oriental medicine, people have long viewed that illness can be prevented by eating the right food. That idea caught on with people and made them think that in order to have a long, healthy life, they should eat good food,” explained Joo Young-ha, a cultural anthropologist and a professor at the Academy of Korean Studies. A famous anecdote tells of Chinese emperor Qin Shi Huang (B.C. 260-210) who searched for elixir plants for eternal life. It was a story born out of the idea in Chinese medicine that food ensures one’s longevity and health, explained Joo. Among the many delicacies in China, the soup called Buddha Jumps Over the Wall boasts rich nutrition and legend has it that its irresistible aroma made a monk in meditation jump over the wall for a taste. The soup, a local delicacy in Fujian Province, China, often contains some expensive ingredients, including shark fin, black-skinned Silkie chicken, sea cucumber, abalone, ginseng and fish maw, which are all simmered in a pot for more than six hours. The soup is a popular summertime delicacy that Koreans enjoy at upscale Chinese restaurants to fortify themselves against the heat. 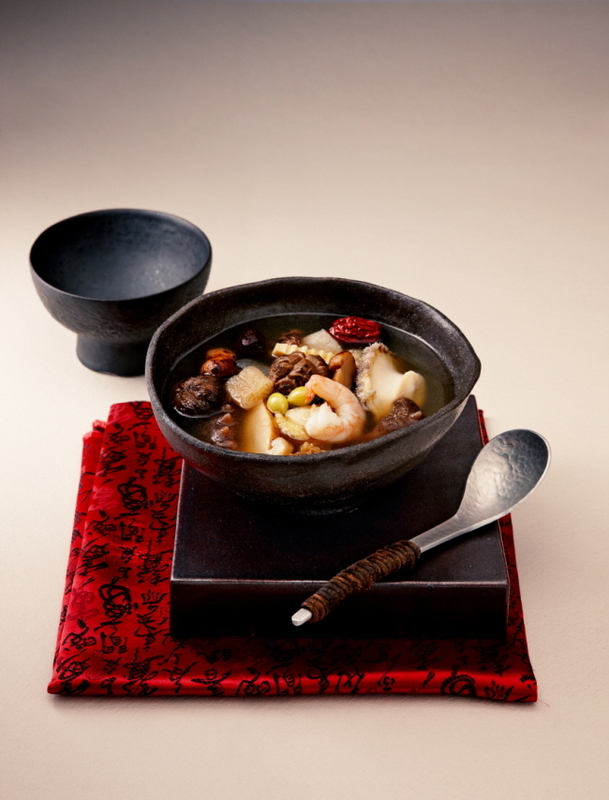 At Hong Yuan, the Chinese restaurant at The Westin Chosun hotel in Seoul, the buldojang soup is the highlight of its seasonal promotion menu in July, when customers start looking for healthy food for the summer. “Buldojang is the most popular dish. It has all kinds of healthy ingredients. The soup is also easily digested and helps you restore lost energy and stay healthy during the summer,” said Jeong Su-ju, a chef at Hong Yuan. In Japan, eel enjoys a status similar to samgyetang in Korea. 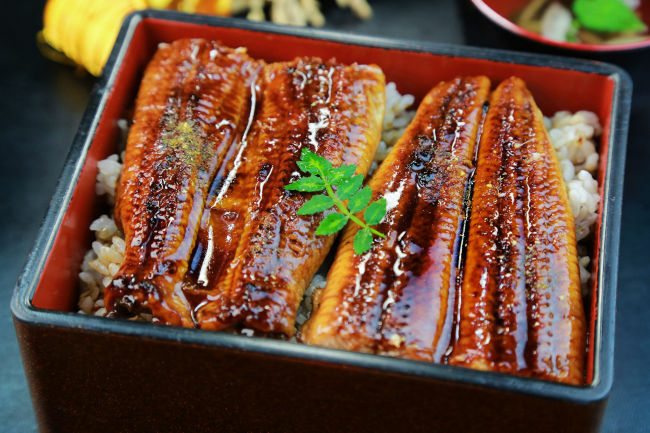 On lunar days that mark the beginning, middle and end of summer, many restaurants offer rice topped with sweet soy sauce-glazed grilled eel fillets. There is a popular saying in Japan that dishes with names that start with “u” prevent heat exhaustion in summer. Eel dishes became popular during the Edo period (1603-1867), apparently after a restaurant owner put up a sign that said eel is a good food to eat at the beginning, middle and end of summer. In Korea, it was not until the mid-1900s that eating samgyetang became a summertime ritual. “The culture of eating seasonal healthy food emerged in the 1960s in Korea,” said Joo of the Academy of Korean Studies. The practice of eating “boyangsik,” or invigorating food, stems the American concept of nutrition introduced to Korea and traditional Korean medical knowledge. And the seasonal ritual also spread widely when food companies and restaurants began using it to promote their products and menus. American nutrition, which assumes that individual nutrients determines the value of food, arrived in Japan in the 1950s, and was soon adopted by companies in their marketing. The concept also landed in Korea, creating what is now a common belief that certain food brings specific benefits, explained Joo.